Air Technical Services Heating and Cooling is a licensed HVAC maintenance, installation and repair company serving Toms River, NJ since 1999. Offering a wide range of AC solutions for both commercial and residential customers in Toms River, we pride ourselves on top quality service done right the first time. All equipment, even the most reliable and new models, requires routine maintenance. Without regular tune-ups, air conditioners can lose about 5% of their original efficiency every year of operation. The good news is that you can recover most of that loss by scheduling AC maintenance service. Chances are, your AC unit is running many hours of the day (and night) throughout the summer. To enhance efficiency and prolong the life of your system, manufacturers recommend regular air conditioning maintenance. 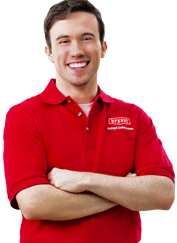 Schedule your AC maintenance appointment with the Air Tech experts at 609-246-5905 today. Air conditioners are complex; they have a lot of moving parts. Regularly scheduled AC maintenance must be carried out to keep all those parts in top working order, optimizing the unit’s efficiency and life expectancy. Preventative AC maintenance also gives technicians an opportunity to replace worn out components before they cause bigger problems or lead to failure. Your air conditioner is an investment. Protect that investment with a reliable maintenance plan. AC maintenance typically includes cleaning, testing, calibrating, adjusting, lubricating, and when necessary, replacing components to avoid breakdown. No matter what type of business you own, comfort is a large part of your consumers’ buying behavior. In the event repairs are necessary, AC Maintenance Plan customers receive priority status to ensure temperatures get back to normal as quickly as possible. It also provides complete peace-of-mind and also saves our clients money, helping them extend the life of their cooling system. Our Toms River customers love the perks of the AC Maintenance Plan #2. Call your Air Tech representative today to help you choose the maintenance plan that best suits your particular needs and budget. Our Air Tech experts in Toms River have compiled a list of the most frequently asked AC maintenance questions and their answers to help you get the most out of your system. Every year. On average, each year that an AC goes without maintenance, it will lose approximately 5% of its efficiency. Regular AC maintenance is vital to optimize the health and efficiency of your unit. The best time to schedule maintenance is in the spring, but anytime of the year is better than never. How do I know if my unit is starting to lose efficiency? You smell musty, pungent or otherwise unpleasant smells coming out of the vents. Why should I schedule AC maintenance? With AC maintenance, your unit will run more efficiently, saving money and energy overall. Additionally, AC maintenance will also keep your unit clean and ensure it’s doing its job to dehumidify the air. Left unchecked, the moisture build up in your AC could lead to bacteria, mold and mildew and circulate allergens and in-air microorganisms throughout your home. I currently have an R-22 air conditioner. Should I consider switching to R-410A equipment? Back in 2010, R-22 equipment began being phased out of production. Although, some inventory is still available, R-22 will soon be obsolete, most likely after 2020. Because R-410A is the current industry standard, it would be best to consider installing a R-410A system. What kind of AC maintenance can I DIY? Regular inspection and self-maintenance can help you to save you money and extend the life of your HVAC unit. A few things you can do yourself include: check/clean/replace the air filter every one to two months, remove debris surrounding your air conditioning unit, prune branches or bushes at least two feet away from the unit and double check efficiency settings on your programmable thermostat. Extend the life of your unit and eliminate inconvenient downtime from breakdowns. Our NATE certified technicians are ready to perform a comprehensive maintenance check to ensure that your cooling system is efficient, safe and reliable.